Blood samples of a dehydrated person are taken to check the levels of electrolytes and especially the levels of potassium and sodium in a body which will tell how better the kidneys of patient are working. Temperature is also measured to access the fever. 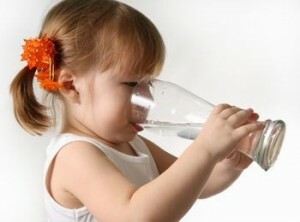 Infant dehydration is diagnosed by checking the sunken eyes, muscle tone and sweat loss in arm pits.